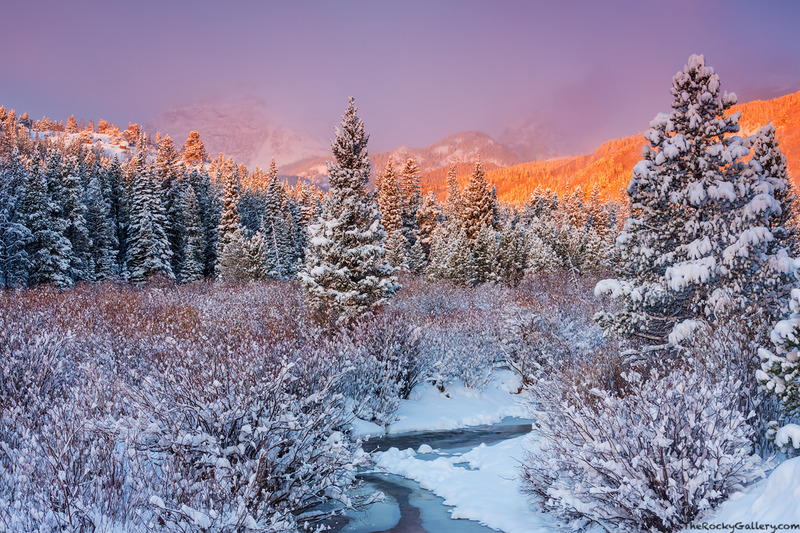 An April snowstorm has blanketed Rocky Mountain National Park with snow and turned the landscape into scene from a Christmas car. Glacier Creek winds through the foreground as Hallett Peak and The Bierstadt Moraine catch just a little bit of the sunrise which is still being obscured by falling snow. Photo © copyright by Thomas Mangan.